There is a realm where warriors brandish their swords to thwart evil, wizards bend reality to achieve the impossible, and rogues sneak past them both to claim the treasure for themselves! Eldritch Role-Playing System takes you to this realm. 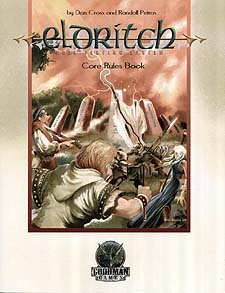 A complete yet simple system, this game lets your characters become powerful heroes with straightforward rules.